25 Jun 2018 Kamus appointed as the next Artistic Director of Our Festival! 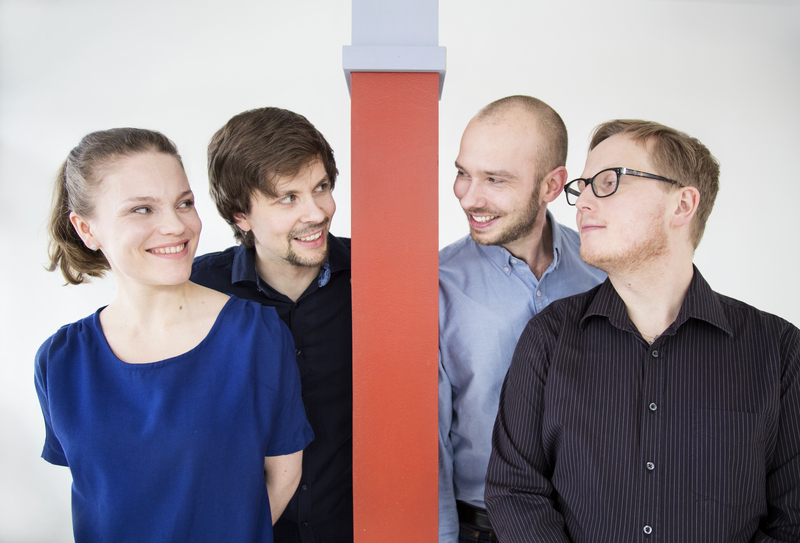 We are happy to announce that our quartet has been appointed as the next Artistic Director of Meidän Festivaali / Our Festival. Our first festival will be in 2019. The position of Artistic Director at Our Festival has been one of Pekka Kuusisto’s sources of joy for more than a decade. And we are extremely happy to continue the festival we have enjoyed to play at since many years! 25 Jun 2018 Kamus Festivals 2018! Our programme for Summer 2018 has been published! We are happy to be at Our Festival, Jyväskylä Summer, Rauma Festivo, Sysmä Summer Sounds, Iitti Music Festival, Lohja Tenor Days and Riihimäki Summer Concerts! Happy summer to you all! 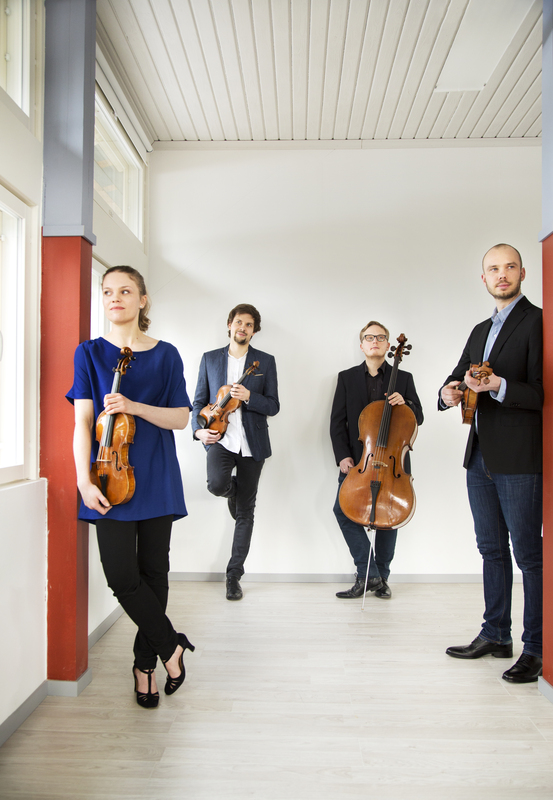 The quartets summer season concerts in Finland 2018 are now published in the concerts page. Some updates will still come but we are happy to see so many new festivals in our tour schedule and delighted to get to visit so many wonderful festivals again. 05 Feb 2018 Kamus wins the "Emma" Award for the best Classical CD of 2017! 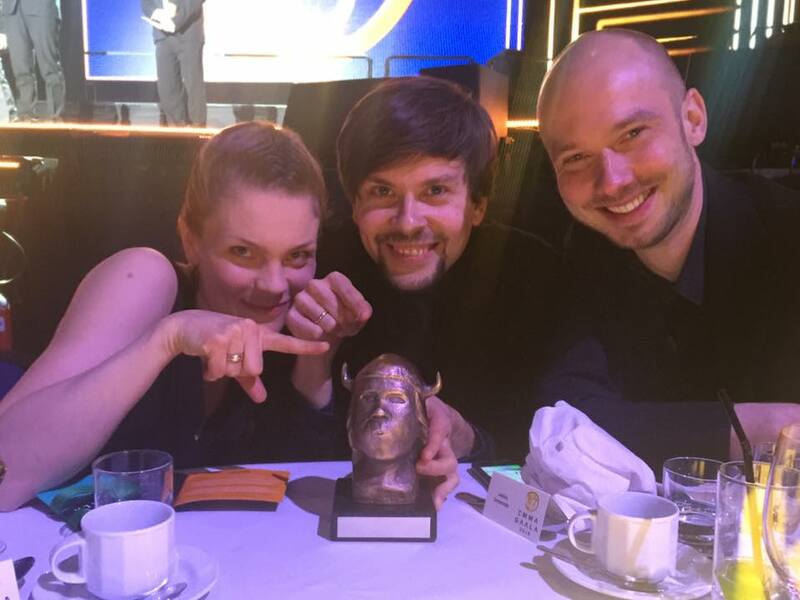 We are very very happy to announce that our latest CD "Homunculus" won the Emma Award for the best classical CD of 2017! 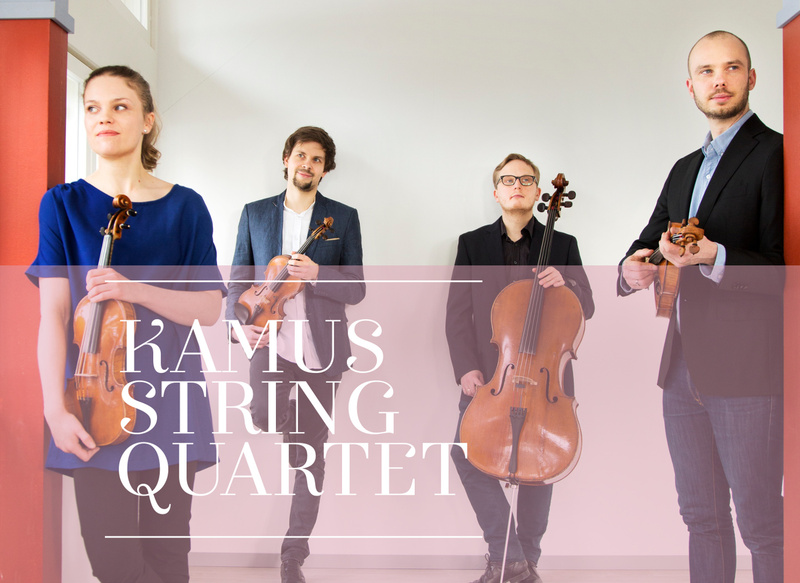 Kamus Quartets recent recording Different Voices won the Finnish National Broadcasting company's prize for the best album of the year 2015! 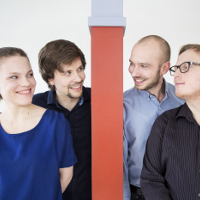 We are very delighted to announce our signing with the Lomonaco Artists! Lomonaco Artists is a dynamic boutique agency based in London and will take care of quartets international affairs. 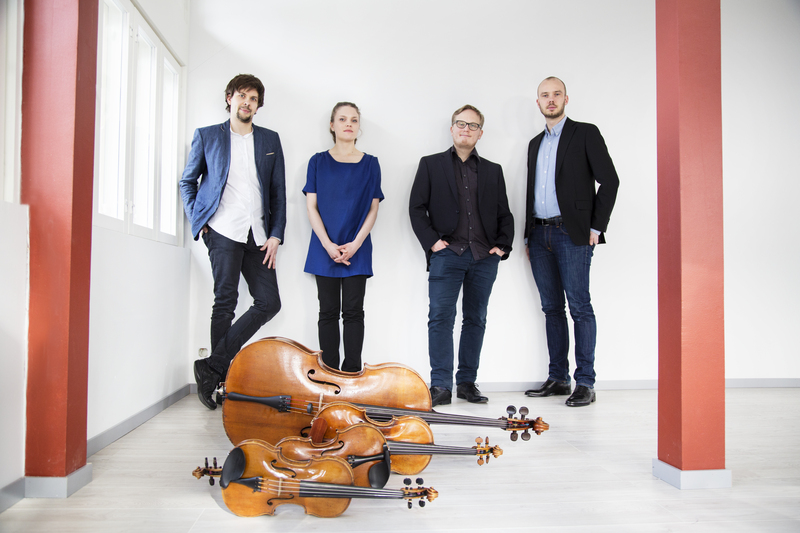 An active force in Finnish musical life, Kamus has developed new ways of presenting chamber music with its acclaimed concert series TeemaHelsinki. 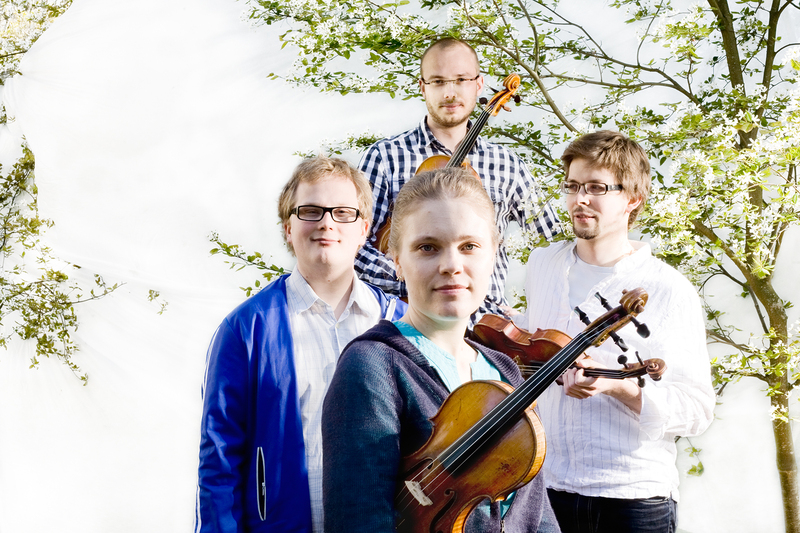 They have also launched a project to help enrich the musical life of rural parts of Finland. 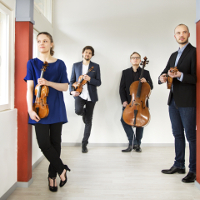 Founded in Helsinki in 2002, the quartet studied at the Sibelius Academy, the European Chamber Music Academy (ECMA) and the Britten Pears Academy in Aldeburgh, UK. This prestigious training, along with support from a number of distinguished artists, has helped Kamus to find its own personal style and voice. Significant elements of this included the studies at ECMA, which concentrated on musical rhetoric and the performance practice of the classical era, knowledge of musical language and a deep insight into the structure of the score and which opened up new perspectives, and continues to do so. Aldeburgh Music’s Hugh Maguire, a student of George Enescu in the early 20th century, introduced the quartet to the old European string music tradition, and his innate and warm-hearted musicianship left a distinctive imprint on the style of the quartet which can undoubtedly still be heard. Like all great stories, the story of Kamus Quartet is love-themed. The year is 2002. A young couple from Kuopio, Terhi Paldanius and Jukka Untamala, have just moved to Helsinki, and begun their studies at the Sibelius Academy. Then they face the first crisis of their married life: The two violinists realise that two is not company enough. The greatest music in the world is composed for a string quartet - not for two violins. They find themselves in a curious situation: The couple has to find a third and a fourth wheel for their relationship. As luck would have it, two young men with basketball background, who had since developed a keen interest in music, had also started their studies at the Sibelius Academy, and were looking for something to occupy themselves with. 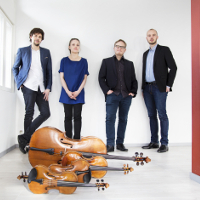 Jussi Tuhkanen, a viola-player from Savonlinna, and Petja Kainulainen, a cellist from Lahti, completed this love story, and the love-child was given the name Kamus. 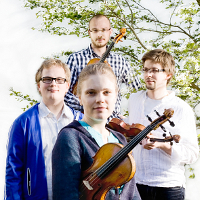 The quartet begun their studies at the Sibelius Academy with Risto Fredriksson. Later they travelled to England to learn from violinist Hugh Maguire, and studied at the European Chamber Music Academy, ECMA, with Hatto Beyer and Johannes Meissl. Currently the quartet shares 12 years of common history. Kamus is a fine name, presumably with profound connotations. What is the story behind the name? Petja: I came up with the name after a long and strenuous process. I had suggested a lot of stupid names, along the lines of Warthog, and then one morning I woke up with this name in my head. To my knowledge, it means absolutely nothing. So there really is no allusion to, for example, Albert Camus? Terhi: An allusion to Camus, but not Albert. In fact we are waiting for the day when the Camus Cognac will be spelt with a 'k'. On that day our work is done. Does each of you have a specific role in the quartet? Jussi: For the most part of our time together, Terhi has \u2013 willingly or not \u2013 been in charge of some amount of discipline. We can all still clearly remember the one rehearsal we had without her. That was the biggest waste of time ever. What kind of changes has your quartet gone through? Jukka: We've gone through everything a string quartet can go through, except for change of personnel. We don't swing that way. We've studied hard and extensively. Afterwards we needed a few years to take it all in, until we found our own style. What is life like in a string quartet? Petja: Well we had a FIFA phase, during which we played a lot of Xbox at Terhi's and Tillo's. Other phases were the exciting early stage, studying in England with the wonderful Hugh Maguire, and a hard-working phase at the European Chamber Music Academy. Terhi: Guess you might say Tillo's nickname is Jukka. Terhi: Quite a few, not all of them print worthy. Jussi: I'm Jusba, Tuhkis or Alpo. What else have you done besides playing in a quartet? Jukka: Jussi dabbled with tennis for a while, but at his second practice he fell in the shower and broke a bone in his hand. That resulted in the longest practice brake in the history of the quartet. What is your mission for the quartet? 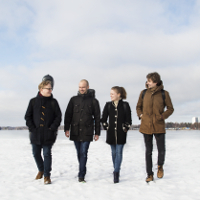 Terhi: We consider it important to broaden Finnish musical life with string quartet culture, which tends to almost disappear during winter-time outside of the big festivals. Furthermore we want to take music to remote and unordinary places. Where would you like to have a chance to play? Jussi: The place doesn't matter. It's always great to play whether it is an old plane hangar at Suomenlinna or a nursing home in Germany. Well, okay, it would be great to play the Wigmore hall in London. The concert would run for hours and would consist of all the best music ever written, and the best music yet to be written. Quartet Op. 74 in E flat major "Harp"
Quartet Op. 56 in D Minor "Voces intimae"
Guitar Quintet in D major "Fandango"
Lomonaco Artists, 113 New Atlas Wharf, 3 Arnhem Place, London, E14 3ST.